The Reader Organisation will be appearing at not one but two upcoming literary festivals in London, giving you the chance to experience shared reading alongside a range of other exciting book-based events. Next week, we’ll be part of Finchley Literary Festival where one of our trained volunteers will be leading two shared reading sessions on Thursday 29th May at North Finchley Library. 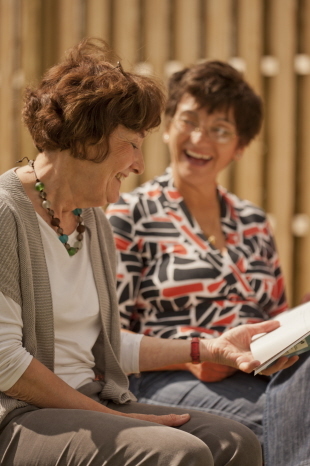 Our volunteer programme in Barnet is ongoing, sharing reading with people living with dementia and across generations within the community, and people within the area will get an opportunity to be part of one of our groups, similar to those currently running across Barnet. The two sessions will take place at 1-2pm and 2.30-3.30pm, with a maximum of 9 attendees at each session. Both sessions are free to attend but booking is required. You can book online via Eventbrite on the Finchley Literary Festival website. For those in the South of the city, we’ll be taking part in the Literary Kitchen Festival with shared reading taster sessions on Monday 16th, Tuesday 17th, Wednesday 18th and Thursday 19th June. All sessions will take place from 3-4pm at The Peckham Pelican and entry is free. You can also keep up to date with TRO’s work in the capital by following @TheReaderLondon on Twitter. Looking forward to sharing reading with you Londoners!